When Lily Ifield of Hertfordshire, England, looked out her bedroom window in the middle of the night earlier this month, she thought the thick smoke she saw was fog. But when she went downstairs, she realized the smoke was coming from inside her house. 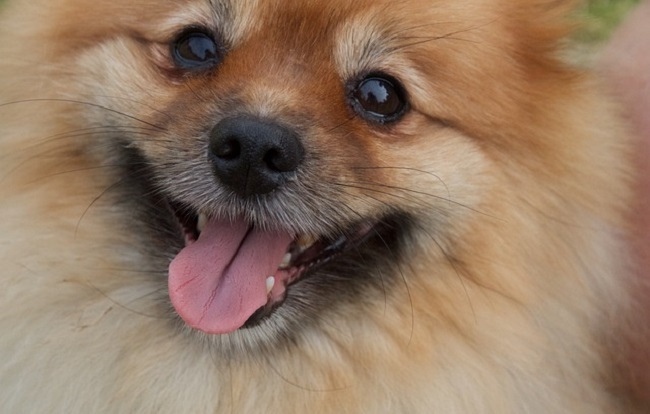 Ifield, 73, and Sandy, her 10-year-old Pomeranian, managed to escape outside, but Sandy noticed somebody was missing. It was Tina, a blind, 13-year-old Chihuahua who is Sandy’s best friend. Firefighters from the Stortford Fire and Rescue Service were able to save the two dogs. Ifield’s parrot, Rio, also survived the blaze by flying out of the house. The fire was believed to be caused by an electrical issue in the kitchen. Ifield and her pets are temporarily staying in a hotel while repairs are made to their home. Tina and her hero Sandy were already BFFs before the fire. But now? “They are even closer, and they just cuddle up to each other,” Ifield told the Daily Express.